It's that time of year again! To renew your membership, drop your fee in the mail (4334 Irvines Landing Rd., Garden Bay, V0N1S1), in the drop-box on the back porch of Sarah Wray Hall, or at the next event you attend. See membership details and form. If you're wondering if your membership has expired, please email info@penderharbourheritage.ca. Starting in April, we'll be raffling off our 2019 Boatbuilding class Cedar Strip Canoe as a fundraiser for our society. Tickets are $10 each. Buy tickets at our booth at April Tools on April 27, on the field at May Day on May 18, and at Pender Harbour Days, Aug. 2 & 3. If you can't make it to one of those dates and would like to buy a ticket, please get in touch. 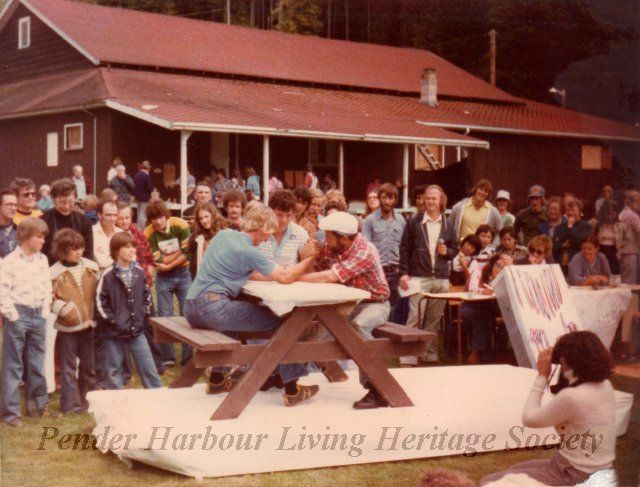 The draw will be in the afternoon on August 3 at Pender Harbour Days. Photos from the 1960's and 1970's have recently been added. Please browse the archives and go to Advanced Search then Catalog Number and enter 2012.2 to view the additions. Can you identify anyone ​in these photos? Heritage Panels currently in development by the PH Living Heritage Society will also be integrated into the trail signage project. 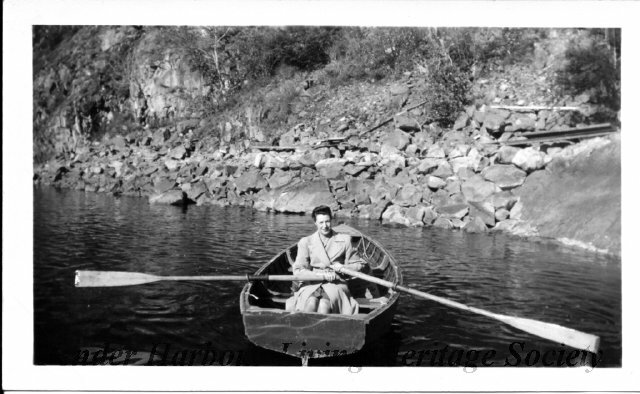 Alethea Brooks in a rowboat, circa 1945. Pender Harbour’s protected waters are fringed by an intricate shoreline. The names of the many coves and inlets hint of a colourful history: Whiskey Slough, Gunboat Narrows, Hospital Bay. In this unique place, pioneers lived at the water’s edge, always mindful of the great ocean that gave their home its life and meaning. Until a road connected Pender Harbour to Sechelt in 1936, travel was mainly by water. Boats of all kinds visited harbour shores – dugout canoes, fishing boats, steamships, mission boats, forestry boats, school boat ferries, work boats, pleasure boats. 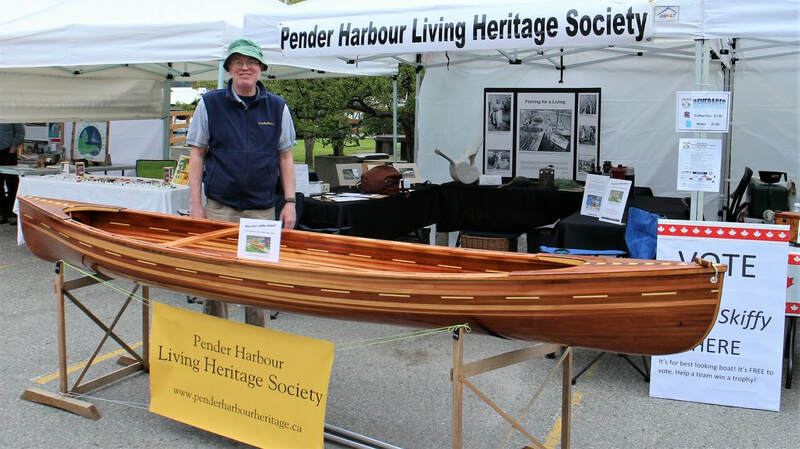 Read more about Pender Harbour's Maritime Heritage. 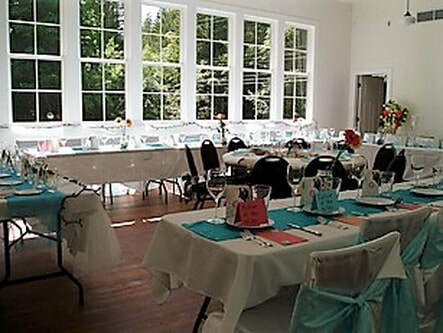 Capacity of 50 people, full kitchen, 2 bathrooms, wheelchair accessible, tables, chairs available. For details, see our availability calendar. 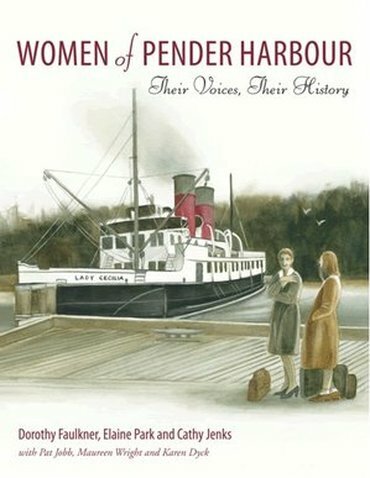 In this award-winning hardcover book, Pender Harbour is presented through the eyes of early women settlers. The historical narrative is augmented with over 200 historical photographs, biographical profiles, timeline and genealogies. 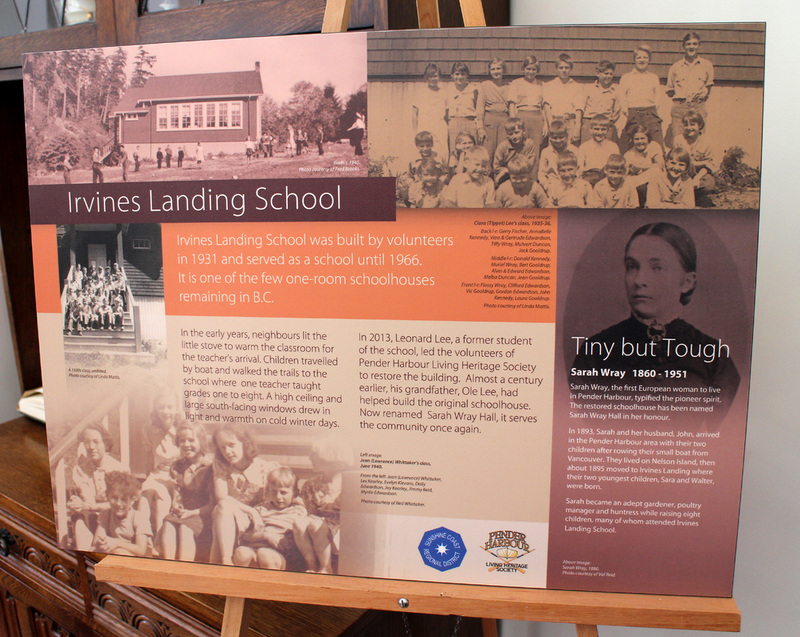 Produced by the Pender Harbour Living Heritage Society, all proceeds go towards preserving Pender Harbour's history. The book is available for purchase at locations in BC and by mail order. Local author Ray Phillips writes about the history of Jervis Inlet in his new book "The Royal Fjord: Memories of Jervis Inlet", released by Harbour Publishing. ​Author royalties for this book are being donated to the Pender Harbour Living Heritage Society. The book is available locally at the EarthFair Store: 604.883.9006. While you're there, pick up Ray's other book Little Green Valley, which is all about the Kleindale area of Pender Harbour.